The story tells of a man named Murdock who lived along in his cabin and was found dead one day. He was buried near the cabin next to his wife. The story stops and tells the reader that this is all the facts of the story, but there are some whispers about what had happened. Years ago, he had returned from hunting to find his wife in dire fits that eventually caused her to die. There was no means of saving her and thus, he found himself alone with her dead body. Later on, with her dead in the room, he falls asleep but as he fell asleep he heard some distance cry of a child. When he awoke there was some other presence in the room and he could feel it. The table shakes and there is movement but in the dark it is hard to discern. He fires his rifle to see what is going on and witnesses a panther dragging his wife by the neck. Upon examining the wife's corpse, he sees that there is part of the panther's ear in between her teeth. 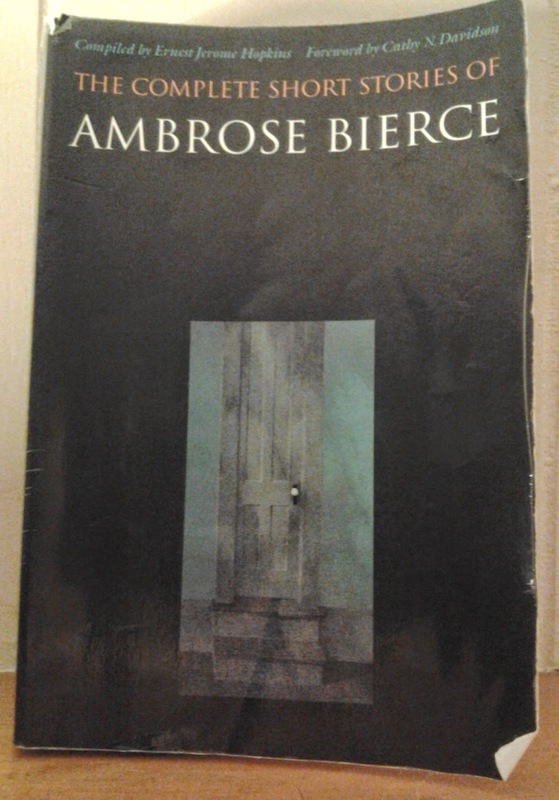 This was a bit more enjoyable of the horror tales in Bierce's work. It drew out the story slowly and then manages to leave a final haunting sentence for the readers making them wonder just what had occurred in the darkness of that room.